The White Saturnian Princess Cha'rissa had always been distant from her mother, Queen Tareesha. It was her father that she most loved and admired. Jacoth was a great man who initiated a peace treaty intended to unite his race and that of the Red Saturnians through the marriage of his daughter to Prince Jemm. Even after his assassination, Cha'rissa remained committed to seeing his dream become a reality, despite her misgivings about the Red royals. While Cha'rissa had reservations about entering a loveless marriage, her mother pointed out that hers was no different, and would sooner see her daughter dead than have her fail to make the sacrifices necessary to strengthen H'ronmeerca'andra. However, Prince Jemm was driven into exile, and lost on the planet Earth for some time. In the starship Va'jacoth, named for her father, Princess Cha'rissa searched for her lost prince. 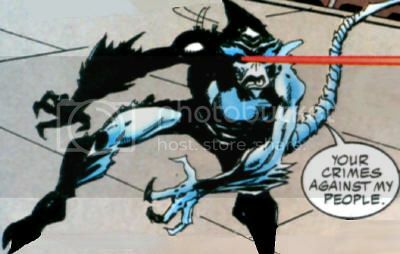 Eventually, the Va'jacoth made its way to the JLA Watchtower on the moon, where Jemm's empathic emanations had been detected. Jemm was teleported aboard the starship, and when the crew found that he had suffered physical and mental torture at alien hands, Saturnian forces launched an attack. The conflict was halted by the arrival of J'Onn J'Onzz, a Green Martian whose superiority was recognized by the Saturnians as one of their "Makers." However, Princess Cha'rissa had seen images in Jemm's mind of this Martian Manhunter torturing her fiancé, and attempted to kill the Maker. J'Onzz easily deflected her attack, and explained that it was his twin brother Ma'alefa'ak who was truly responsible for the abuse Jemm had suffered. When Cha'rissa demanded that Malefic be turned over for punishment, J'Onzz explained that he had already cast his brother into the sun for his crimes. After the initial misunderstanding was dispelled, Princess Cha'rissa felt an almost immediate attraction toward J'Onn J'Onzz. The Maker worked to heal Jemm while in his natural form, and expressed embarrassment when Cha'rissa gazed upon it. He also demonstrated discomfort when asked about his inability to explore true physical intimacy with humans, and with Cha'rissa's suggestion that the mating habits of her people were similar enough to Martians to be "much easier." When the Va'jacoth was attacked by pirates demanding the royal couple, J'Onn J'Onzz impersonated Prince Jemm and vowed to protect Princess Cha'rissa as they submitted to the pirates' demands. Both were powerful enough to escape their bonds at will, but Cha'rissa feigned compliance and otherwise covered for the Martian Manhunter as he secretly investigated their captors. After terrorizing a group of jailers with her battle prowess, Cha'rissa confessed to J'Onzz that she had been injured by a stun club, and sought comfort in his arms. Cha'rissa had been pressing J'Onzz throughout their time together, and he finally succumbed to the Princess' charms to share minds and bodies. Cha'rissa returned to Jemm's side in the capitol city of Tromfar, but secretly longed for the embrace of J'Onn J'Onzz. The Martian Manhunter returned to Cha'rissa after suffering severe injury at the will of the entity called Cabal, who was behind the murder plot. By temporarily merging with J'Onzz, Cha'rissa was able to reintegrate his mind and body. The pair then hatched a plot to draw out Cabal that required Cha'rissa to appear to make an attempt on Jemm's life. Cha'rissa herself appeared to die, and in so doing cause Jemm to have a nervous breakdown, but instead they both joined J'Onzz in taking apart Cabal. Cha'rissa learned that her own mother was part of the conspiracy intent on taking the royal couple's lives. Cha'rissa merged with Jemm to use their soul gem to cause the members of Cabal to wage a psychic war with one another. Although Cabal was defeated, the murderous betrayals had ravaged the soul of the already fragile Jemm. Despite her strong feelings for J'Onn J'Onzz, Cha'rissa vowed to stay with Jemm and salve his wounded heart. When last seen, Princess Cha'rissa was preparing for her marriage and coronation ceremony. Cha'rissa has demonstrated superhuman strength and resilience, a degree of telepathy, empathic senses, and the ability to project laser beams from her eyes. Cha'rissa can shapeshift, allowing her to assume at least two innate forms, as well as to merge physically and mentally with willing Martians and Saturnians. 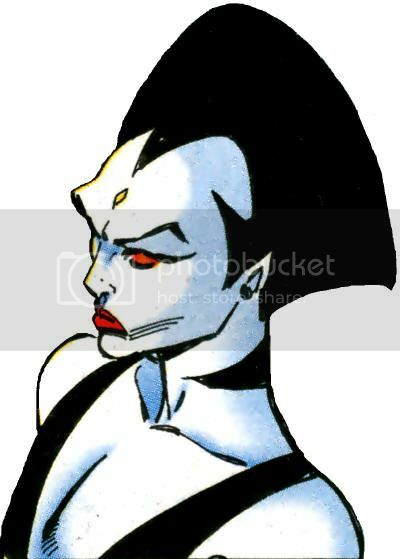 Whether the stone on her brow holds any powers similar to Jemm's has not been revealed, nor whether Cha'rissa had abilities not possessed by other Saturnians. 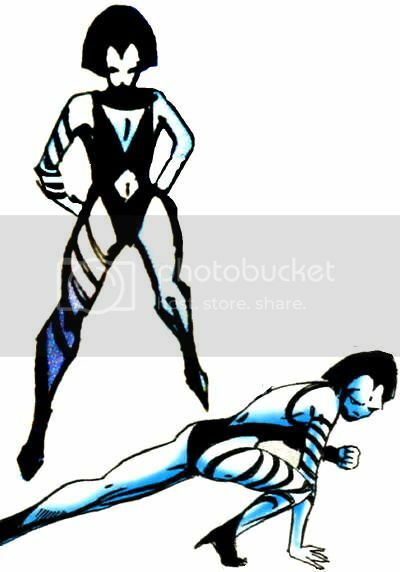 While in combat, Cha'rissa assumes a form similar to a White Martian. Although not shown, Cha'rissa presumably suffers the same fatal vulnerability to prolonged exposure to flames shared by most Saturnians. Quote: "I am of the royal blood of the White Clan Rahdar of Hronmeerca'andra! I am the delicate flower of battle! And you pigs dare to set hands upon my person?!"